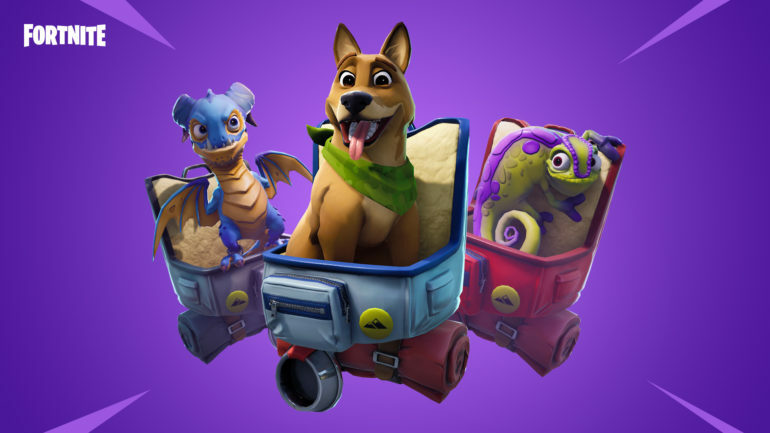 Bonesy, Scales, and Camo all look adorable. A new season of Fortnite: Battle Royale is officially underway—and that means it’s time for a brand-new Battle Pass, too. Fortnite fans can purchase the season six Battle Pass for 950 V-Bucks, unlocking access to 100 levels and over 100 unique rewards, including new skins. Anyone who buys the Battle Pass will immediately receive two exclusive skins: Calamity and DJ Yonder. But Battle Pass owners will also be pleased to learn that pets are officially coming to Fortnite in season six. The three pets announced right now are Bonesy, Scales, and Camo. “These passive companions are always by your side, reacting to different situations you find yourself in,” Epic said. It’s unclear exactly what these pets will do or if more will join the game in the future. But we’re sure fans will waste no time trying to unlock these critters as soon as the server downtime is complete. As expected, weekly challenges will return in season six to allow players to level up more quickly. Fortnite fans are undoubtedly waiting for the servers to go back online so they can get their hands on all of the great in-game content available in the season six Battle Pass.